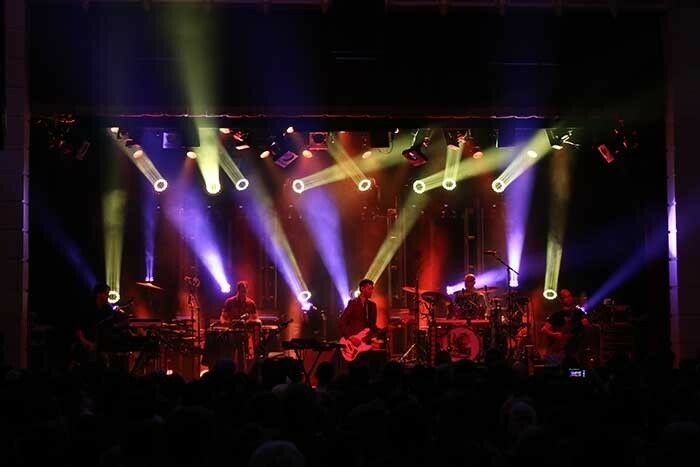 USA – The instrumental electronic jam band Lotus is continuing its cross-country tour this spring and summer as they debut a complement of Clay Paky A.leda B-EYE K20 innovative, LED-based moving lights for key effects in the show. 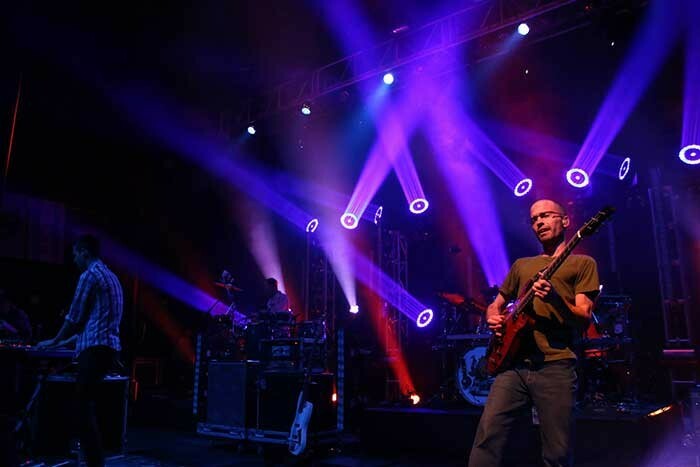 Lighting designer Scott Huston obtained a dozen B-EYEs from Main Light Industries, Inc. in Wilmington, Delaware, which he counts on for "always having the latest and greatest – they let me know when they have cool stuff and have a good sense of what I can use. I’m really interested in checking out new technology." Huston positions eight B-EYEs on four truss towers and four more on the stage. "They have an amazing output," he says. "That 4º fat beam is very impressive." Huston was looking for a moving light that offers a direct view effect. "I didn’t want to have a videowall, but I wanted to do a direct view effect. You can do the effects on the lens, which is big enough so I only need 12 of them. Plus, I also have the beams that give such a good rock ‘n roll look. The B-EYEs not only provide a beam that looks really nice cutting through the room but also a lens that you can do movement effects on." The B-EYEs made their debut on the Lotus tour in Atlanta and have been "working great," according to Huston. "It’s really easy to make them all match up. The white LEDs are really nice, and the colors are all great -- I can even get pastels out of them. And the eye candy effects are very nice." John DiEleuterio, Client Relations at Main Light, says that, "Scott and Lotus prove that you don’t need a ton of B-EYEs to get a great look. The B-EYEs are a great fixture. They really seem to be taking over with their versatility: They’re a wash, a beam – toss in the kaleidoscopic in-air effects and you have yourself a multi-use fixture and some pretty awesome eye candy." Main Light has stocked B-EYE fixtures since February, and DiEleuterio calls "A.C.T Lighting and Clay Paky powerhouses that offer groundbreaking, high-quality gear with amazing support to back it up. I wish every purchase in life came with the quality of support we receive from A.C.T." Francesco Romagnoli, Clay Paky Area Manager for North and Latin America, commented, "The B-EYEs are such versatile lights and Mr. Huston is making great use of them. Mainlight is a great collaborator and we’re thrilled they are working so hard to get our fixtures out there."